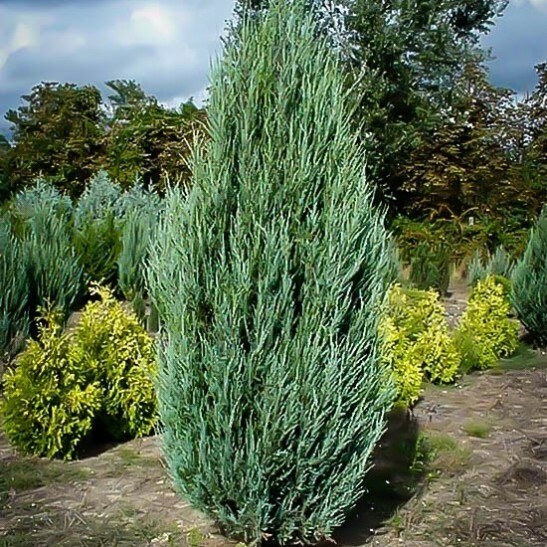 The Skyrocket Juniper shoots up as a silvery spire in your garden, making a dramatic accent, or framing doorways or drives. 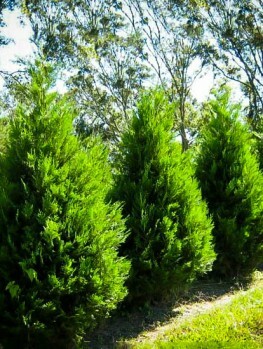 Highly tolerant of sun and drought, yet super hardy in the coldest areas, this is the ideal choice for any climate. For sunny, dry gardens this plant can’t be beaten. Accent plants are essential in creating a garden picture. 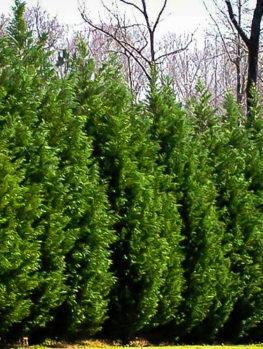 None have the impact of the Skyrocket Juniper, shooting up like a silver needle from among your other plants or framing your front-door. Use it too for a screen in a confined space or as specimens along your drive for a majestic effect. 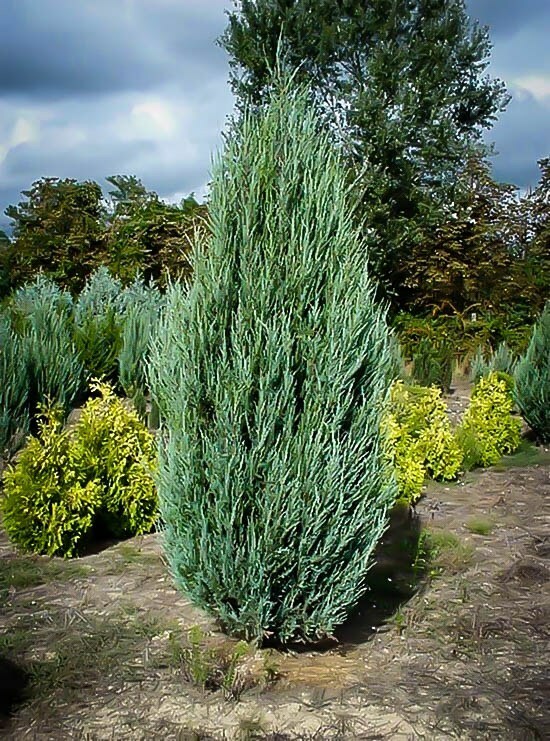 Very drought-tolerant but also the idea choice for cold regions too, Skyrocket should shoot to the top of your shopping list. Privacy is something we all cherish, whether it is five minutes alone with a good book or the latest addictive game offering on your smart phone. Privacy is also something that is important when it comes to our property, as most of us are not living in the middle of nowhere without another human being in sight. Urban living often means that much of your life is almost certainly viewable, and so if you can screen yourself a little bit, why not? Oftentimes we use fences and panels to separate our green spaces and afford ourselves a little privacy, but this can be frustrating when your carefully planned and tended garden finds itself with a stark wooden background. Vines and creepers can be a good way of covering up unsightly panels but often take a long time to grow and sometimes offer problems of their own. So why not try another option? 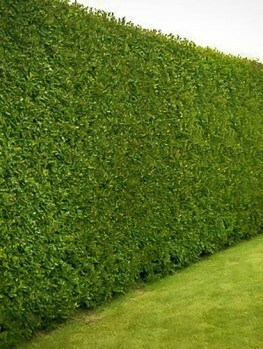 Natural fencing is becoming more and more popular thanks to the proliferation of fast growing trees and shrubs, allowing a much more sympathetic and unobtrusive method of shielding yourself from idly prying eyes. 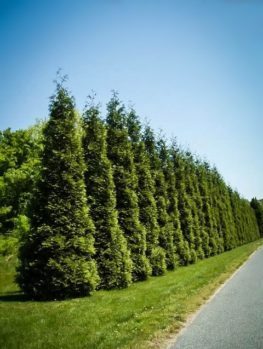 There are a good many natural options available to you for the purpose of screening, whether it is for a sizeable length of your land or just something for a corner. 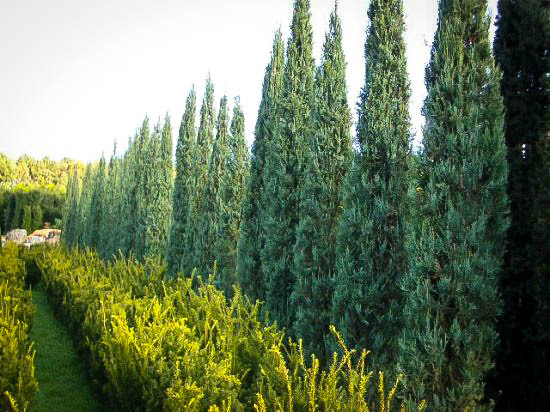 The ‘Skyrocket’ sets itself apart from most all of the options when it comes to trees, thanks to its wonderful color and highly unusual and structured form. 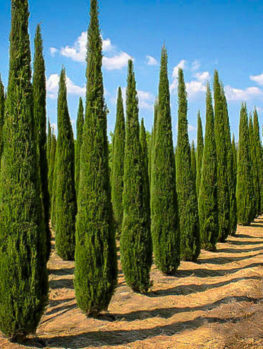 Because of their very slender form they can be planted much closer together than larger spreading trees and the tapering effect means it becomes more than ‘just some greenery to stop people peering at me hanging the washing out’. Its narrowness also lends itself to planting between already established screening trees that may not have spread as widely as you had hoped, thus adding a new layer of interest and color to a pre-existing natural fence. Of course, it is not all about creating a screen; the ‘Skyrocket’ is a wonderful and eye catching tree in its own right. 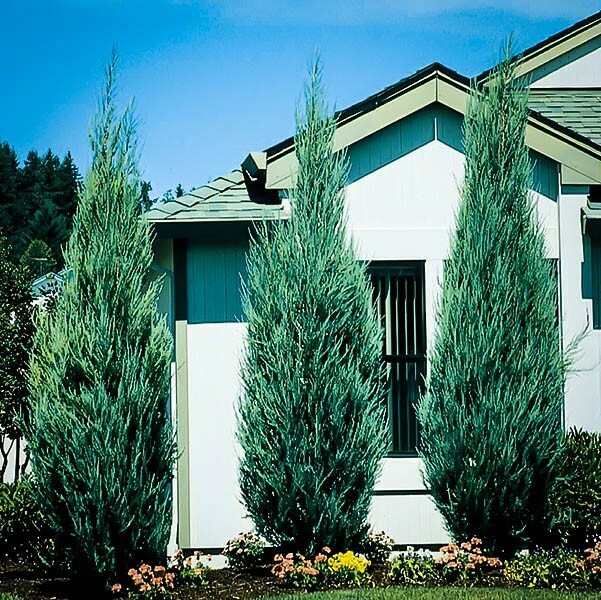 Although they work fabulously as wind breaks and screens, the unique form also means it’s a perfect specimen tree. Planted either on the side of a gate, pathway or even front door, they also look fantastic in a formal garden lending a stately feel when spaced evenly through a border or bed. These really are picture book pretty and best of all, to achieve this lovely form you have to do next to nothing. Actually, that is unfair as you do not have to do anything at all! 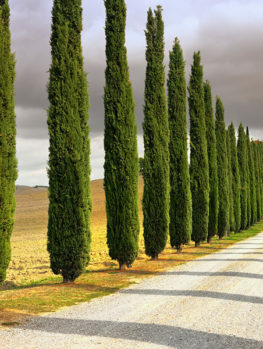 The lovely lance-like form comes completely naturally and the branches never droop, only reaching ever skyward. 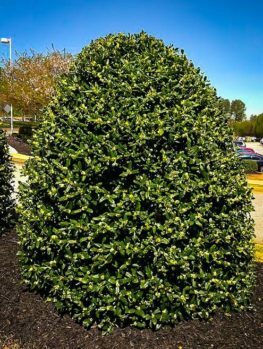 Of course, as with any naturally architectural plant, you can refine its looks to make them sharper and even more dramatic, but this is not a plant that demands it of you. So what of position and conditions? You might imagine that something this pretty is going to have quite a list of specific requirements to which you must religiously adhere for fear of it upping roots and leaving your property in disgust, a sprig of dusky green foliage left in its wake. How lovely it is for us to be able to tell you that it doesn’t. Full sun is certainly preferable and it will tolerate partial shade, however there are stories of shaded trees leaning longingly towards sunlit areas, so full sun is recommended. So long as the soil is well drained, and not soggy or too moist, then sandy, clay and loamy are all perfectly suitable and once the tree has settled into its new home, it does not even really require watering. As for alkaline or acidic qualities, it could not care a bit about those. When planting out for the first time it is best to dig a hole that is approximately three times the width of the root ball and around the same depth; ideally the plant’s own soil should be just above the ground level. Give the de-potted roots and soil a gentle massage in order to make it easier for the roots to break free and introduce themselves to your garden; raking the insides of your hole also aids with this. Once it is settled into its new home continue to water until it is established, taking care not to make it boggy as this is something it will not take kindly too, but once it is establish you need to do precisely nothing else. This is a highly attractive, well-structured plant with a very aesthetically pleasing form and color. It is not fussy and is undemanding, yet it will furnish you with an architectural shape that looks like it was taken straight from the pages of Alice in Wonderland.